I opted for the Kiko backpack for £65; I chose it for its size, as I wanted a small backpack for everyday use. It is a 3-in-1 bag as it can convert from a backpack to a crossbody to a shoulder bag by pulling the handle through to fully extend it. The exterior is a black waterproof recycled PET fabric and the lining is a fabulous orange colour. I love the front storage pocket and the heavy duty zips, makes me feel confident that it will last a long time. They use 10 recycled plastic bottles to make each backpack! My favourite thing about the brand is that they only use vegan leather in their products, setting them apart from most backpack designers. It shows that you can have a great bag without the unnecessary killing of animals. The practice of using recycled plastic to create polyester fibre has been pulled into question recently, with people asking me “how environmentally sound is the recycling process itself?” I had no answer for this and didn’t even know what PET was! My research lead me to the Bleher website, a German company producing plastic film, where I quickly learned that PET stands for Plastic Polyethylene Terephthalate. They explained,“Recycling PET leads to a 60% energy savings – compared to the energy requirements for producing new plastics”. 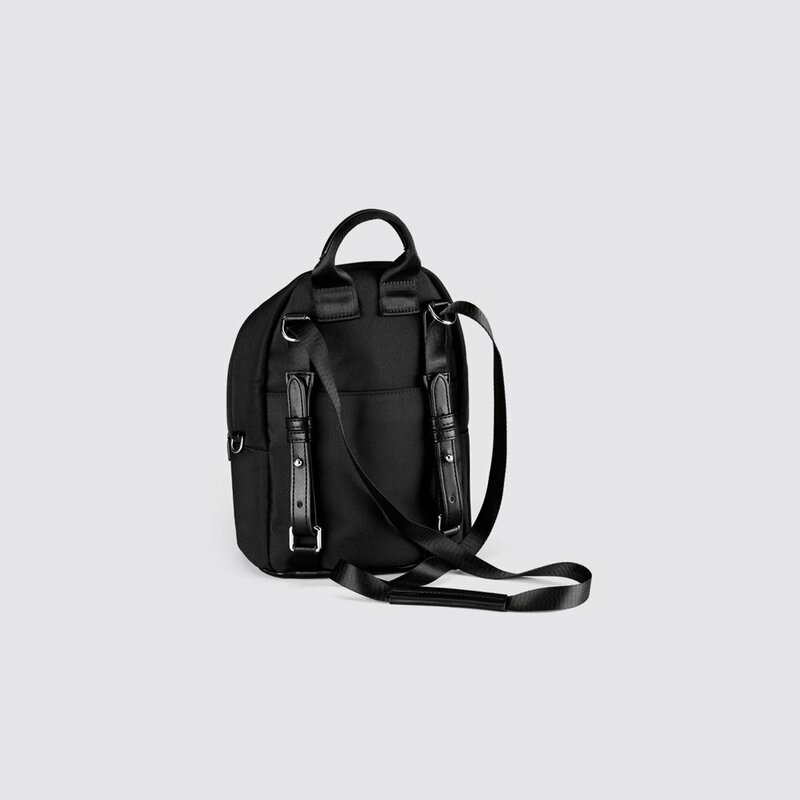 What drew me to Charlie Feist was their minimalist designs and smart use of space, too often women’s backpacks are all about the look and don’t actually function very well. So far the backpack has been perfect for carrying around my everyday items (gonna do a ‘bag spill’ on IG soon so keep an eye out…) and it can handle a fair amount of weight. 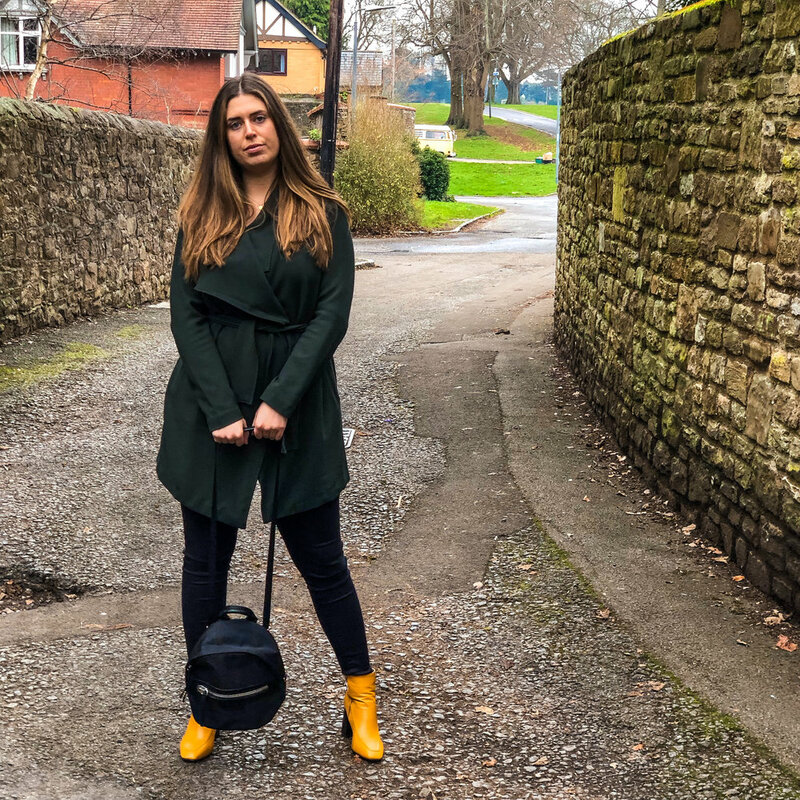 I really love the Kiko backpack and would highly recommend the Charlie Feist range to anyone who’s looking for a stylish, practical bag with added environmental benefits.